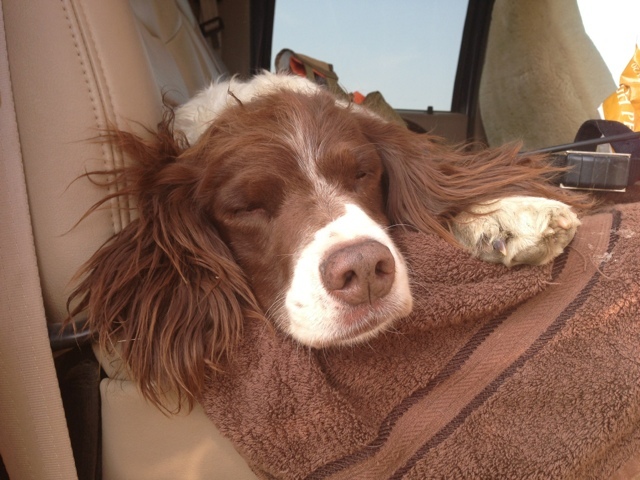 A Bird Hunter's Thoughts: It sure is hard work having a good time. This happens every time. After a few days of driving, we hit the ground hard and hunt from can to can't. Then, about the second day, legs start hurting, feet start hurting, and, for a fleeting moment, you wonder whether you can do this all day. That moment of self-doubt passes. And it is day after day of 0530 breakfast and 10 PM getting to bed. Tonight is no exception so here are a few pictures and I'm off to bed. It was 86° here today. We made three three-hour casts. 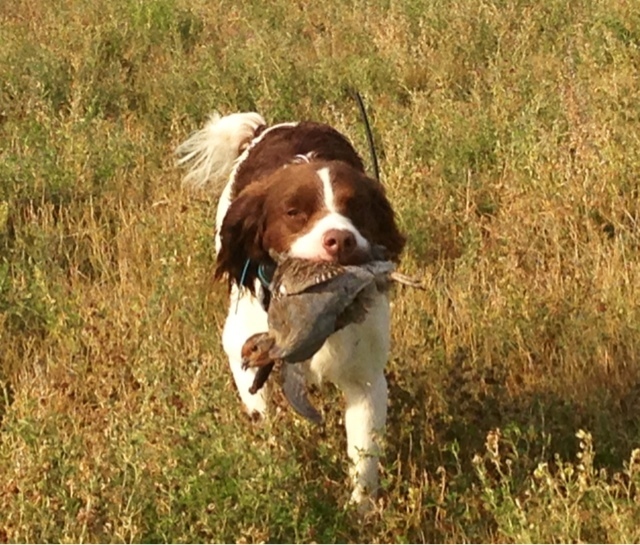 We had points and retrieves on Sharptailed grouse and Hungarian partridge. Ruby hunted the heat of the day on a 2 1/2 to 3 hour cast. And she did a spectacular job. Ace did a great job also, and I guess he's feeling the heat like me. He jumped in the backseat laid down and was out like a light.